It all starts with the packaging. We work with FMCG brands to captivate shoppers & trade buyers with highly visual brand experiences. Creating concepts & key visuals for campaigns with clear customer journeys in mind. Amplifying campaign messages in-store with highly visual, real-scene brand experiences. Enhancing online packaging experiences with visual renders, animation and lifestyle photography. We elevate messages beyond the pack to create highly visual experiences in-store, outdoors and online. Even before a customer holds a product in their hand for the first time, we use design communications to educate, persuade and inspire after identifying key marketing opportunities throughout the shopper journey. Using our consumer insight knowledge, we map out customer journeys and identify key marketing touchpoints to add value to the shopping experience. Crafting a piece of packaging design is an important investment for any FMCG brand, but the products aren’t always displayed online in a way that does the packaging justice. We work with clients to create the same impact online as we do in-store to achieve maximum value from the original design investment. Branded packaging designs are adapted into striking 3D visual renders and sensory lifestyle photography is captured to create context. We bring enhanced brand experiences to shoppers using highly visual product imagery, sensory campaign visuals and exciting sampling areas. We design, visualise, artwork and produce high resolution real-scene imagery, card units, bespoke sampling stands, leaflets and large public display adverts to create high impact in-store experiences. Visual Theatre, or what we fondly call ‘Assets of Wonder’ is an extension of our branded packaging design service. It’s used to visually shape shopper marketing strategies with beautiful and creative interpretations of the pack. From inspiring lifestyle photography and 3D renders to moving image, VT creates in-store theatre that provides more sensory visual experiences for shoppers to take them beyond the packaging for a more holistic brand experience. VT adds magic that brings products to life, tells stories and enhances campaign messages in-store, outdoors and online. The number of years we’ve worked with Cadburys on their in-store shopper marketing. Preparing packaging design for technical print, proofing and production runs. Workshops, design audits and market research reveal barriers to market that we overcome using design and messaging, giving challenger brands the chance to be different, disrupt and get noticed. To meet the changing needs of the retail landscape, we have developed a packaging design methodology for a diverse range of categories, including food, drinks, healthcare and sports nutrition. From a single pack to product ranges with multiple skus, we offer safe to brave design options that consider different graphic treatments, branding and structural innovation. We develop brave and inventive ways of making new connections with shoppers beyond a brands core packaging with NPD, gift packaging, limited editions, on-pack promotions and range extensions. It is vital that approved designs are represented in print as originally intended. Our technical artworkers are meticulous in their methodology, interpreting complex die lines and converting graphics into layered artwork. They carefully colour match, proof read, add important folds and cutter-guides. Visual Theatre, or what we fondly call ‘Assets of Wonder’ is an extension of our branded packaging design service. It’s used to elevate packaging designs online and in-store with beautiful and creative interpretations of the pack to increase engagement. From inspiring lifestyle photography through to highly detailed 3D visual renders, VT takes the visual experience beyond the packaging to add some magic that brings products to life, tells stories and enhances campaign messages. The end result provides a core element to any marketing tool-kit, providing a consistent set of engaging images that communicates the brand and facilitates memorable product launches. The number of Hortus Gin liqueur bottles sold per hour in November 2017. That’s 7 bottles sold per minute! 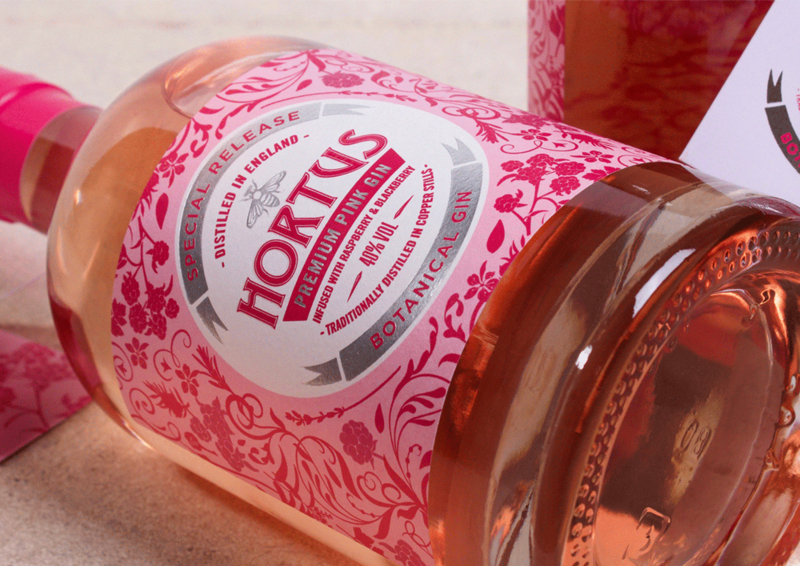 The Hortus gin liqueurs have been Lidl's fastest-selling own-brand to date, achieving sell-out of both the raspberry and rhubarb gin liqueurs. HiPP Organics overall market share increase following the pack re-design. Overall sales increased by 10%, with jars sales increasing by 7% against a market decline of 5%. Bringing excitement & visual theatre to internal teams and trade buying meetings. Creating memorable bespoke presentation kits that delight and inspire to achieve trade buy-in. Inspiring product engagement & sampling at events with interactive stands and sales materials. With a limited window of time available to brand and marketing managers, we craft presentations and sales tools to make the most of every minute, to convince buyers to love and list a new pack or a product range. We design and script, commercially persuasive and beautifully executed presentations and combine them with interactive ‘sell-in’ kits that eloquently captures a brand proposition. We work closely with brands to present new product ideas to buying teams to get products listed in top retailers. Engaging presentations and shopper marketing visuals help buyers to visualise the product working in-store, achieving sales and keeping their key categories lively. 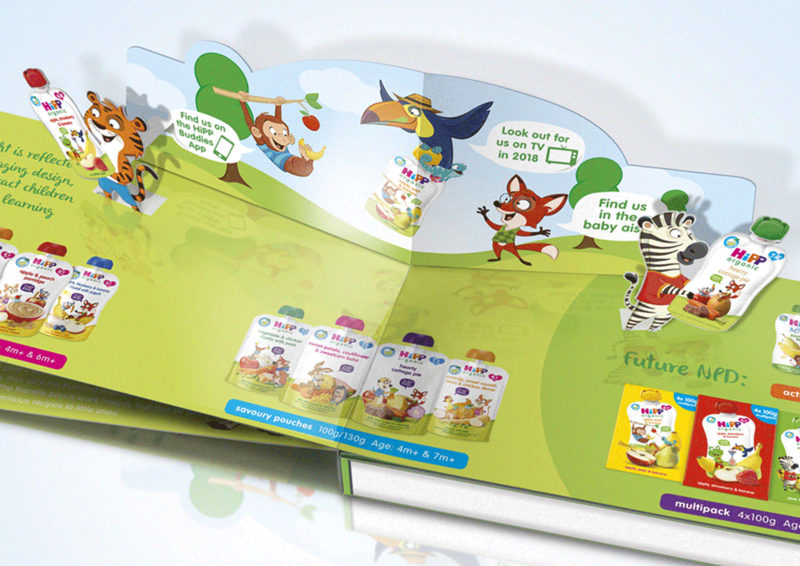 From interactive pop-up story books to intriguing trade boxes, our team develop inventive and highly visual brand propositions to communicate how products work in the shopping environment at different touchpoints, demonstrating how customers are engaged before they even reach the aisle. Having an impressive trade stand, sales materials and a consistent message is key to inspiring trial and engagement with a new product offering. It’s the best way to visually communicate how a product campaign will engage customers in-store, so if an impressive experience can be achieved at a trade show, the product has a higher chance of being listed. 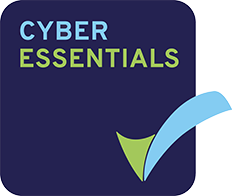 We create full-size visuals for trade areas featuring key campaigns messages to navigate trade buyers to leave them with a memorable experience. Visual Theatre, or what we fondly call ‘Assets of Wonder’ is an extension of our branded packaging design service. It’s used to elevate packaging designs and campaigns within trade presentations and on trade boxes with beautiful and creative interpretations of the pack that create impact and realism for buying teams. From inspiring lifestyle photography through to highly detailed 3D visual renders or moving image, VT takes the visual experience beyond the packaging to add the magic that brings products to life, tells stories and enhances campaign messages. The number of promotional in-store vehicles we’ve designed for market leading confectionary brands.